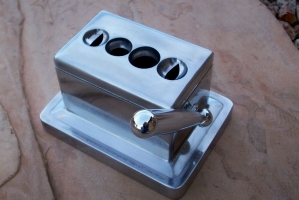 Now all your guests can cut their cigars regardless of how they like them cut. The Quad cutter is an impressive piece for any table. You get two straight cuts, 52 and 60 ring gauge. The two V cuts have a 52 and 58 ring gauge. This cutter is a customer favorite around the store! Ready for purchase now! This is the best quality cutter it will last a long time! These cutters, made in Solingen, Germany have blades hardened to a Rockwell C rating of 57, the result is the hardest, sharpest blade you can buy. The body retains the classic XIKAR shape and features a lightweight nylon fiberglass composite in metallic colors including blue, green, gray, burgundy (flat) and now, black. It’s called the VX2 V-Cut and XIKAR promises that it will be a deeper v-cut. 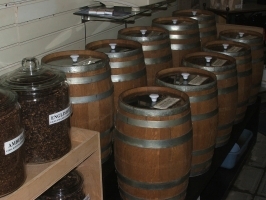 It features the company’s reverse v-cut blade, which cuts from the outside in, as opposed to a traditional v-cut where the blade penetrates the cigar starting from the middle of the cigar and extending outwards. XIKAR says this helps to reduce the amount of cracking. The cutter uses a side button to release the blade. Pocket knife, money clip, cigar cutter. Three tools in one! This unique knife is made with a long lasting AUS-8 stainless blade. 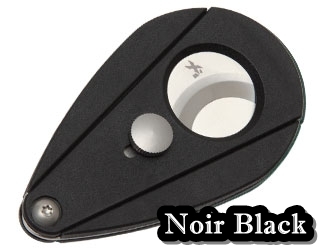 It’s very sharp, and handy for the moment you forgot your cigar cutter. A wonderful gift idea, even if it’s for yourself! This unique cutter features a one of a kind design. It’s a great conversation starter, too. Don’t miss this great cutter, it’s a limited production item!